With global awareness on environmental issues, energy has become a focal point in recent times more than ever – a fact often reflected in tariffs. Running a golf course is an energy intensive business and it’s fair to say that, if you are not regularly evaluating your energy portfolio, you may well be bleeding profits. 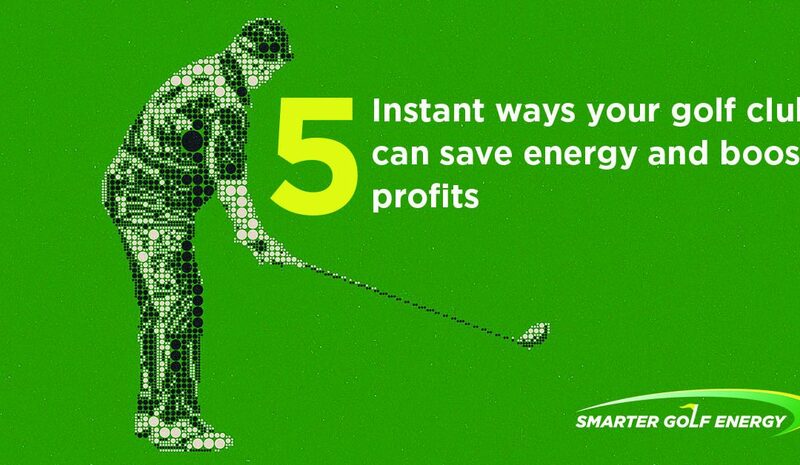 Smarter Golf Energy – the energy brokers by golfers for golfers – advises that the following five steps are an easy way to kickstart energy savings, allowing you to remain competitive within the industry and use savings for the benefit of your members. automatic roll-overs which normally involve steep increases. Your energy contract shouldn’t be something that just ticks over. By immersing yourself in the terms and details of your contract and usage, you are more likely to identify areas of potential saving. This may include an adjustment to existing routines (for example, a shift to usage during non-peak periods), but will often also require physical changes to systems such as insulation, LED lighting, HVAC, and refrigeration. Smart meters and data technologies are an illuminating way to monitor and optimise usage. Knowing the most energy intensive elements of your club can inspire a change in behaviour for savings. An intrinsic part of your energy strategy should include ensuring the correctness of your invoices. This will enable you to recognise and rectify any instances of overcharging. For many busy golf course owners and managers, the idea of adding the time-consuming task of energy management to the day is a hard ask. For many golf clubs, partnering with an energy expert saves valuable time and resources which would be better spent in other areas. Energy brokers have relationships with suppliers for added negotiating power. They also have the knowledge to identify the right contract for your golf course, overcharging on your invoices, and areas of savings. They also handle every step of the process on your behalf – giving you the best possible result in a fraction of the time. Smarter Golf Energy is one such team of experts, offering a specialised service to the golfing industry. Contact them today to find out more about their services.